Terma’s direct support services come with a free assessment of the installed Terma Analytics environment to help customers gain all of the benefits of the Terma product solutions. Terma Software announces today that after reaching the highest revenue year in the company’s history in 2015, it will now increase its focus on providing a wide range of solutions for its customers, including direct product support, workload optimization services, product implementation and full account management. 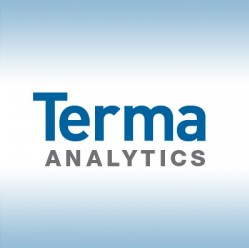 Terma’s growth and maturity as a software vendor over the last several years has made it possible for the company to evolve from a software development firm to a full solutions provider for workload automation and analytics. Today Terma provides not only a sophisticated suite of products, but a broad range of support services for customers. “Over the years we have worked with service and re-seller partners to address the needs of the workload community, but we have found that our level of expertise now surpasses that of other market offerings. This is particularly true in the area of using advanced analytics to address the challenging demands of our customers’ various business units, and as such, our customers are coming to us directly for services to assist them in reaching the higher level of workload management maturity that is demanded in today’s complex environments,” says Jim Anderson, V.P. of Corporate Strategy at Terma. While Terma will continue to avail itself of its strong development partnerships (with CA, Cisco, and IBM in support of AutoSys, CA7, Tidal Enterprise Scheduler and IWS), product maintenance and workload consulting are now offered directly to corporations who need to ‘up their game’ in the workload space. Terma is also announcing a Special offer for CA Customers: Customers who are currently under support agreements for Terma’s products through CA can contact Terma to understand the significant benefits of working directly with Terma. Those customers can take advantage of using Terma’s direct support services starting today, and additionally take advantage of a free assessment of their installed Terma Analytics environment, assuring they are exploiting all of the benefits of the Terma product solutions. Over the past decade Terma has developed the industry’s most comprehensive knowledge of workload data and the ability to leverage that understanding to provide measurable business analytics. Terma’s products, TermaVISION and JAWS Workload Analytics (soon to be TermaUNIFY), and TermaINSIGHT, enable companies to optimize their workload processing and realize more value from their automation tools by providing SLA management, forecasting, prediction, and reporting. The products ensure that companies can lower their costs and improve the reliability and performance of their mission critical workloads.